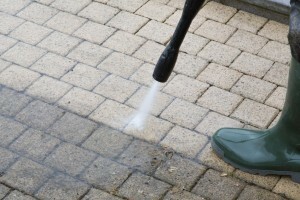 A great way to keep your property grounds in good condition is to pressure wash on a regular basis. This includes patios, driveways and wooden decked areas. Commercial businesses can also benefit from pressure washing services for cleaning the exterior of buildings, car parks and pathways. These are but a few of the many instances where pressure washing is a necessity. Cleaning your patio or driveway can be boring and time consuming task. Our professional equipment and experienced operatives are offering a quality service which is also a very good value.